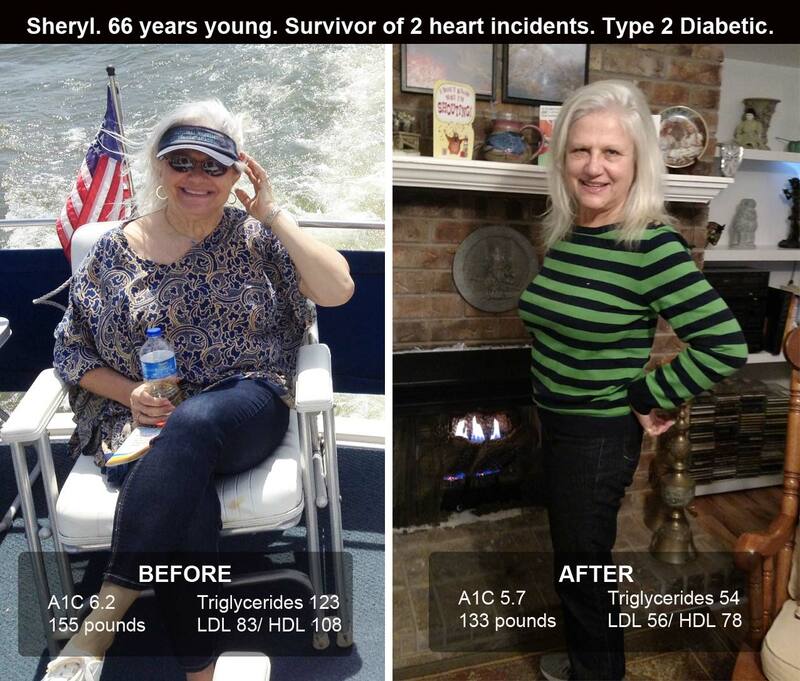 Low Carb Diabetic Diet Success Story: Sheryl’s Life-Changing Results! We love when our members and subscribers experience great improvements with their health because it's the reason we do what we do. And it proves that what we do here works! Plus, sharing stories of success helps inspire YOU and other people in our community to get motivated, take action, and reap the benefits of rewards of doing so. So today we've got the story of an inspiring woman who has completely turned her life around – even after having type 2 diabetes for 20 years! My name is Sheryl; I am a 66-year old retiree survivor of two heart incidents. Heart problems are common in my mother’s family; however, I am the first to be diagnosed with type 2 diabetes. Sheryl started off as a free DMP subscriber , then joined as a member of the 30 Day Turnaround Program and she has now been a VIP member for over one year. “My fasting lab results are great, and my doctor is very pleased that I found a plan that makes a great difference for me,” says Sheryl. Sheryl achieved great results in just 3 months and it has only kept getting better and better for her. What was your lifestyle like prior to becoming a member? For the past 30 years, my preferred form of exercise has been walking. Then, 10 years or so ago, I added limited resistance training. Although there have been extended times I didn’t exercise, for the past 2 years, I have consistently gone to a gym three times a week, walking 1-1.5 miles (1.6-2.5 km) on a treadmill, followed by a variety of other resistant training for 30 minutes during each visit. I have attempted to eat “healthier” food for many years: limiting sugar, including whole wheat flour, brown rice, and never drinking a sugary drink (soda or other). Breads, and cookies were always my weaknesses. Although I rarely ate fatty meats for the past decade; I allowed myself to eat as much turkey, chicken and fish as I desired. I was diagnosed with type 2 diabetes in the spring of 2007, with an A1C of 7.2. I was very concerned that one day because controlling diabetes only through medication could limit future options for cardiac medications. My goal became to control my diabetes as much as possible with oral medication only, by modifying my diet and exercising regularly. I was given the typical introduction to diabetic nutrition, and limited my daily carbohydrates to 130-140 grams/day. My A1C quickly dropped to 6.5, and although I changed medications over the next few years, my A1C hovered around 6.3 until spring, 2016. I was taking 1 daily janumet XR, 50-1000mg . During my recuperation from surgery in March 2015, I lost about 10 pounds (4.5kg), weighing in at ~145-150. I liked that my weight was lower; but I also knew from past experience that as I recuperated, my weight would again creep higher. By the end of 2015, my weight began creeping up toward 150; I also discovered that my morning glucose tests changed from about 140-150 to 160-180. Because of changes in eligible medication due to my new Medicare allowances, I began taking metformin HCL ER, 750mg and glipizide ER, 2.5mg, each twice daily. I was still unable to lower my daily glucose readings to the previous ranges. Once again, I realized that I would have to figure out something more effective in my diet, or face increased medication. I “happened” onto the Diabetes Meal Plans site when I was browsing the internet for something that I could try, something that would make sense. When I first decided to sign up as a free subscriber, the “Daily Emails” were most informative and helpful; it was the best information I had read in years. I liked the simplicity in the presentation, and that information was backed up by research. I read, and reread the guidelines that said I could eat eggs, cheese, and nuts; that this wasn’t the type cholesterol that would increase my levels. 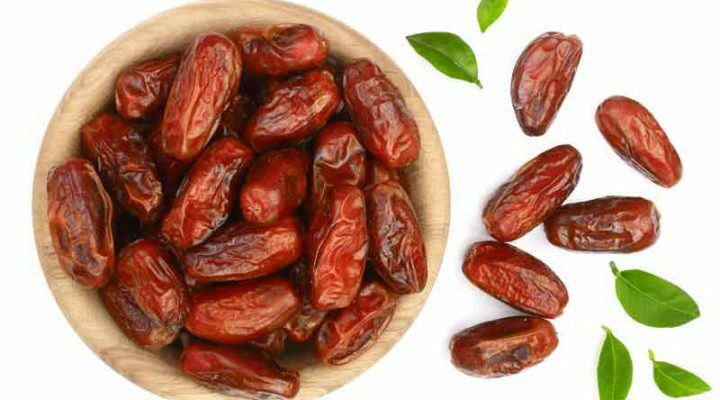 I learned that watching my daily cholesterol levels wasn’t the way to lower my cholesterol, that I would do better by lowering carbs and increasing fiber. Most importantly, I learned that my present diet wasn’t working because I was trying to prevent diabetes, not treat the disease I already had! At first, I wasn’t sure I could trust this website when I learned that I would have to limit my daily carb intake to 50-75 carbs each day and would increase my cholesterol intake! I asked lots of questions, and with fear and trembling, decided in March 2016, to see what the Diabetes Meal Plans could do for me. After taking the 30 Day Turnaround Program, I then joined as a VIP Member. When I returned to the doctor for my next 6-month checkup, my health was already improving: My weight had dropped 6 pounds (2.7kg), and my A1C had dropped to 5.8! This was an all-time low for me. Best of all, my doctor reduced my daily amounts of metformin and glipizide by half: The same tablets one time daily! What did you change in your diet? I changed my eating to treat diabetes and stopped eating anything made from flour, including wheat flour; sugar, grains, and changed to rarely eating legumes either. I eliminated all pastas, breads (including high fiber varieties), granola bars, cereals (especially oatmeal), potatoes and rice. Instead, I added zucchini, cauliflower, cabbage and spaghetti squash as my new best friends. I also added a variety of other vegetables and leafy greens. I learned to use almond flour, coconut flour, and flax meal. I discovered a small amount of a low carb dessert kept me from craving foods I missed. I scoured the DMP Members site for recipes and new information on how to treat my disease. The updated information keeps me current in treating my disease. And the Thanksgiving recipes were a wonderful resource that kept me on track all during the Holiday season. What results have you got from switching your diet? Note: The lab results are shared above. In November, I had my second 6-month checkup, and my weight had dropped to 133 pounds (60.3kg); my A1C was 5.7. I have changed from wearing sizes 10-12 to wearing sizes 4-6! Eating low carb and following the information from this website, I continue to be healthier and stronger than I have been in years! 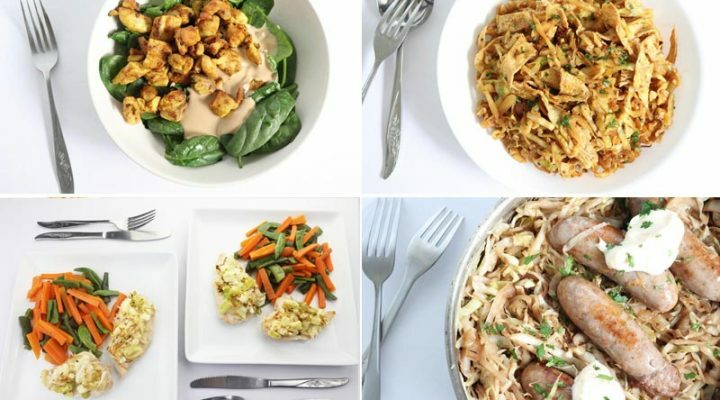 Cooking still requires more work but no longer presents the challenge it did; I no longer miss categories of food because I can find something comparable in a low carb recipe, which is easily accessible inside the DMP Members site where you can find hundreds of meal ideas and options. Best of all, I no longer have the intense cravings and I find I don’t get nearly as hungry as often as I once did. How has being a DMP member helped you? The only recommendation I have for this website is that everyone gets to know it well! The information provided is very solid, and I have found the plan works for treating this disease! From reading all the information provided by Diabetes Meal Plans, I have increased understanding about the frustration of all my past food experiences and struggles with diabetes, because of the explanations provided for many topics. My part is to be committed to do what I need to do. This site has helped me to become an educated, supported consumer who is becoming successful in treating her disease! My A1C levels continue to be 6.0 and below. I've maintained 1 year on lower dosages of medication! I am now 2+years with NORMAL BMI… something I once thought was forever out of range for me! My significant other began serious heart difficulties (not diet related), resulting in open heart surgery to remove growths from his aortic valve. In the weeks and months following, my health had taken second place… I ate many meals on-the-run, and my exercise was poor because of keeping up with a cardiac rehab schedule. I am very grateful that eating low-carb had become somewhat second nature, although I still gained about 5 pounds and struggled with my daily glucose numbers. Fortunately, he is recovering well and we are back on a regular schedule: I am again exercising three times a week, and I immediately lost the gained 5 pounds (2.2kg). I can cook regularly again, paying attention to my intake details. My daily glucose numbers are also back in line; I am anticipating a return to an A1C of 5.8 or less! When life threw some serious health curves for my partner, I am glad I was in a place to reasonably maintain my personal health! Now I'm looking forward to trying some of the new recipes that have been accumulating in my inbox! Of note, I recently had a colonoscopy. Although I hear that there is no research to determine whether low carb is better for colon health, for the first time EVER, I won't have to return for another for 10 years! As always, I am grateful for your researched information, and innovations to guide toward success! Thanks so much for sharing your story Sheryl. That's why we do what we do. We share the latest research and the real truth about diabetic nutrition science so people like you and Sheryl can transform your life! What did you learn most from what she shared? Or what inspired you the most? Please leave your comments below. Congratulations…your story is a challenge to me to take up this program. Keep us posted on your progress, Siliva. And for even more motivation check out some of these other awesome success stories! Dear Sheryl, Congrats………. your sharing was very inspirational and it makes me feel that I too should join this reversal program immediately. But for my bad luck I am in India, and all the diet and food items are of foreign food style chart, so I am not able to have all that here. I wish Diabetes Meal Plan team creates an Indian diet chart for people like me. l wanted to try this DMP. Can you introduce me through sample meal plans. Im diabetic for 5 years and got still very high A1c. 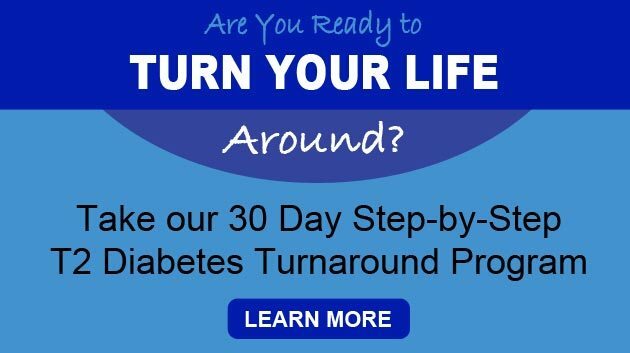 Perhaps you would like to take our 30 Day Turnaround Program Emilia. It’s a step-by-step diabetic nutrition program that also has a 7 day meal plan and lots of recipes. 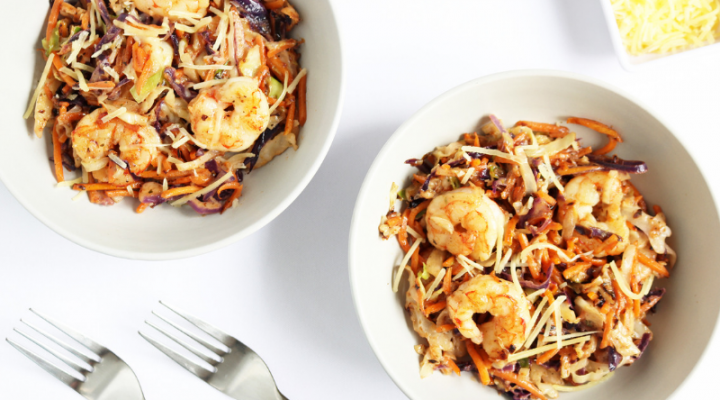 The other alternative is to join as a meal plans member – we have monthly and annual options. We’re proud to say our members are lowering their A1c very effectively. What is involved with joining DMP? We have different online products and programs you can purchase Deb. Sheryl first did the 30 day program and later joined as a VIP member – which also includes the 30 day program. VIP’s get access to our smart meal planners, ready-made meal plans, 500+ low carb recipes, a library of info, menus and tons of helpful stuff they can use. Click here to find out more about what’s inside. Congratulations Sheryl. 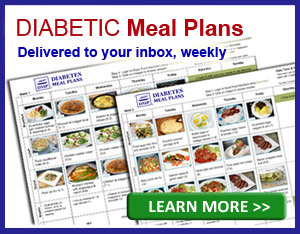 I am newly subscribed to Diabetes Meal Plan and have learned far more from their web site than I ever learned from doctors over the years. I was diagnosed over 20 yrs ago and currently since using DMP web site have dropped from 7.9% to 7.1%. Not much but it is a start. A year ago I was 5.9% but fell off the wagon and started eating foods that are not good for diabetics e.g. potatoes, rice, mac and cheese, etc. I learned these foods are not good for diabetics thanks to DMP and that I need to eat low carb for life! I am 76 yrs old and striving to get back on track and learn to eat low carb. I have tried a few of DMP recipes like mashed and riced cauliflower, zoodles made from zucchini among others. Good health to you Sheryl and to myself and many thanks to DMP team!!! Sheryl, thanks so much for sharing your story. It was very inspiring and has definitely spurred me on to do more than what I’m currently doing. Congratulations Sheryl! I am 63 and was diagnosed with type 2 last year. I have always been overweight so that’s a huge factor in my diagnosis. I lost 20 lbs and lowered my A1c, but I need to lose more. Your story inspires me to try harder, exercise more and to try more of the recipes from this site. Thanks for sharing and you look great!